The average American spends more than two hours a day on their mobile device, with 50% of their app time in their most-used app, and almost 80% in their top three apps, according to comScore. And of those 140 minutes spent on our phones, 50 minutes are spent across Facebook apps (Facebook, Instagram, and Messenger). Moving forward, Facebook will play a bigger role in marketer's mobile strategy. That said, what’s in store for Facebook marketers as we head into 2018? I predict Facebook marketers will turn to Instagram ads to drive conversions, experiment with Messenger ads to start conversations, and turn to offline conversions to measure business impact. One reason for Instagram's rapid adoption among advertisers is the pipeline of 5 million active advertisers on Facebook. As Facebook faces ad load saturation on its main app, marketers have more reasons to experiment with Instagram advertising. Facebook can provide the same targeting capabilities on Instagram, but there's a growing number of ad types and more available inventory on Instagram for advertisers to drive conversions. Figuring out how to stay in front of audiences is always top-of-mind for marketers. With Facebook pouring more resources into monetizing Messenger, I predict marketers will be enticed with more ad types and variations in 2018. And with a push for more adoption of the Messenger platform, expect that payment processes will get easier and more efficient. To learn more about how to get started check out the Ultimate Guide to Messenger Ads. Marketers are under constant pressure to prove the impact of their ad spend. With offline conversion measurement capabilities on Facebook, marketers can track when transactions occur in physical business locations and other offline channels (CRM) after people see or engage with their Facebook ads. This is extremely valuable for marketers looking to justify their budgets. 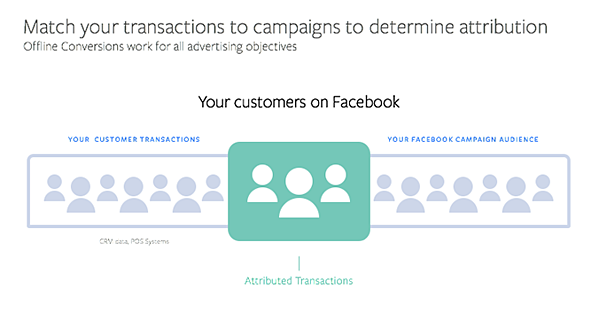 Facebook is uniquely positioned to provide multi-touch attribution so marketers can accurately understand campaign performance and optimize spend. Look for marketers to adopt Facebook’s offline conversions in 2018. We asked four Facebook Ads experts their predictions about what’s to come in 2018. "I think there will be at least two developments related to FB targeting in 2018 and one development around rules and regulations. Facebook started running out of News Feed space last year. This has caused skyrocketing CPMs, and really fierce competition. This is great for Facebook's bottom line, but I think they also recognize that evolving is now more important than ever. They cannot just shrug and say, 'Welp, that's all we got. Good luck, folks!' They have to test and iterate on new ways to create inventory, but simultaneously have it be quality inventory that will move the needle so advertisers will spend budget on it. I believed Watch was their first step towards this when they announced it. Video has all kinds of applications and success for ads on the platform, so it makes sense they'd look to evolve this first. They also have the opportunity to learn from what other video platforms like YouTube do well and don't do well. Indeed, they have announced testing of pre-roll images recently, so look for future inventory openings to come from things outside the News Feed directly." "I also think the other major targeting thing that will continue to evolve is targeting based on user behavior. This was a huge leap forward for Facebook in the past year, allowing us to target users based on their in-platform activities like their interactions with Events, Videos, and Posts. I believe this will continue to evolve, giving us options for how to create Audiences based off which Posts/Ads they interacted with, and whether their reactions to posts were positive or negative. The other thing I'm watching is the rise of chatbots. This is a huge deal for Messenger, but will also require some oversight from Facebook to control what that looks like. Spammy messages and annoying marketing techniques will frustrate users, so I think Facebook will need to figure out the rules and guidelines advertisers need to adhere to about what is messaged and how it's done." "They have to test and iterate new ways to create inventory, but simultaneously have it be quality inventory that will move the needle so advertisers will spend budget on it." "In this last year, Facebook continued making a push to get more users and brands on Messenger. As we head into 2018, we will most certainly see the trend forging a deeper path as more people dive in to the app from ads at different stages of the conversion funnel without even having to transfer to a website or wait for customer service responses via preexisting and less instantaneous means." "From Sephora making beauty service booking quicker than ever, to O'Reilly Auto Parts providing customer service, Domino's Pizza featuring order placement and tracking, to Pinterest now allowing users to easily search and share pins, it'll be interesting to see the many creative ways brands will utilize this highly coveted space to get the closest to their audience since email. As it stands today, it is still an under-utilized space for advertisers, though not for long, as chatbots level up. Messenger is no longer just for communication, it's also evolving into a medium for conversions." "Messenger is no longer just for communication, it's also evolving into a medium for conversions." "With Facebook’s focus on Messenger and their acquisition of WhatsApp, they will find a way to be able to purchase directly through their messenger platforms. Imagine being able to serve an ad for a product within Messenger, and someone being able to purchase without having to click out of the app. Facebook makes a big splash with an acquisition of a well-known brand in order to increase their reach but also solve for their dwindling inventory and ad slowdown. As the market becomes more and more oversaturated, they have to be able to meet the demand." "Facebook begins testing some sort of self-service creative studio to help advertisers with videos + statics. They’ve already announced the Creator App for the creative community. It wouldn’t shock me at all if there was some form of light version for advertisers. It would make sense considering the majority of the advertisers are small businesses without a lot of capital." "Long story short, Facebook is getting more competitive and that’s going to require advertisers to lessen or move away entirely from their previous strategies on the network. I think Facebook will continue to grow in terms of the number of advertisers over the course of 2018. Given the inherent nature of inventory on Facebook (there are only as many impressions available as people willing to scroll through their feed), that means more advertisers for the same amount of impressions. Economics 101, anyone? Advertisers will need to be willing to do a few things to stay competitive on the platform. First, be willing to bid competitively. Up until now, it’s been common to hear of highly successful Facebook campaigns for little ad spend. There might still be opportunities for that, but that time is fading. If you want to see returns from Facebook, you’ll need to get competitive with your bids or let go of the bidding reigns altogether and let Facebook’s algorithm do it for you." "Second, you’ll need to get more creative with how you engage your target audience. Going from zero to 60 and asking for a sale the first time someone visits your site might work during the holiday season, but it’s going to be harder to do during the remainder of the year. Whether it’s creating a new conversion type for a lead generation company, being more appealing with your ad copy doing a better job of not over-saturating your audience, or creating a retargeting funnel, there are many ways to get more creative with your advertising; and 2018 is the year you’ll have to flex those muscles to get the returns you need. Lastly, stay on your toes in terms of the Facebook platform itself. Facebook is continually changing its advertising options, as well as its user experience. Keep an eye out for new targeting options, functionality, etc. 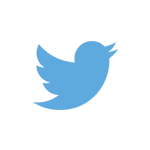 that could benefit your accounts, and be willing to test new features as they become available. My guess is that early adopters will be the ones to get low-cost, profitable campaign results." Marketing is all about (a) finding your target audience and (b) communicating how your product or service can solve their problem. And Facebook ads are making this easier to accomplish. The question is how are marketers going to react to rising News Feed cost and expanding onto other Facebook properties. And how will Facebook entice marketers to experiment with new networks in a transparent way.